A gray haze clouded the sky restraining the early April morning. A slight chill clung to the shadows but spring definitely hung in the air. When I pulled in front of the stables Kenny’s truck was already there. I walked through the barn and found Johnn and Kenny in Myrtle’s stall. 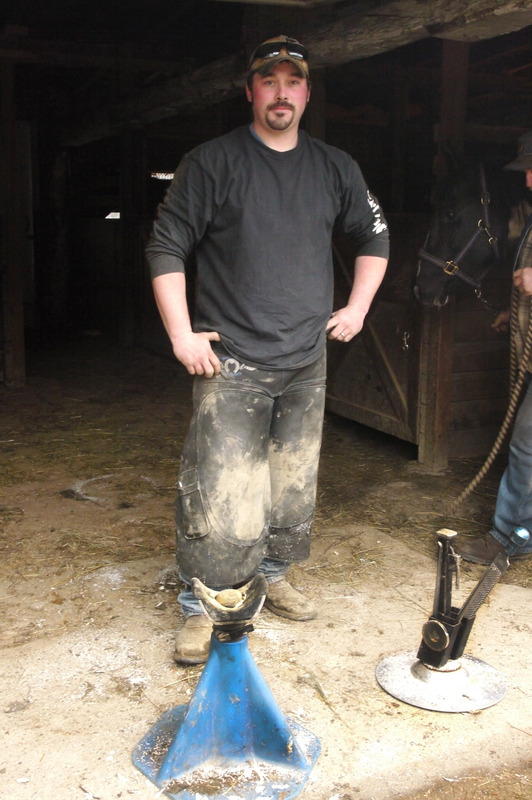 The draft horse had one leg lifted as Kenny finished off filing the hoof. 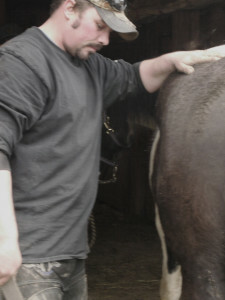 Kenny in some ways was new to being a farrier having just graduated from Oklahoma State Farrier School in September. In other ways, being a farrier seemed only natural since he was the son of a farrier. At Oklahoma State, Kenny completed the 6 week course; a hands on experience with some lecture/class time. The class was small, only 12 students. Every day he worked with different horses, solved different problems. “Why did you decide to become a farrier,” I asked Kenny. He finished trimming Sam and Myrtle; although draft horses, the two are trimmed without use of a stock. Stocks aren’t’ always fail-proof. After Kenny graduated from farrier school, he was hired by a farrier who had been injured by a Clydesdale. The horse was in a stock when the animal panicked, broke the stock and the farrier’s leg. Kenny was hired by the farrier, and for several weeks, Kenny rode around with the injuried man. 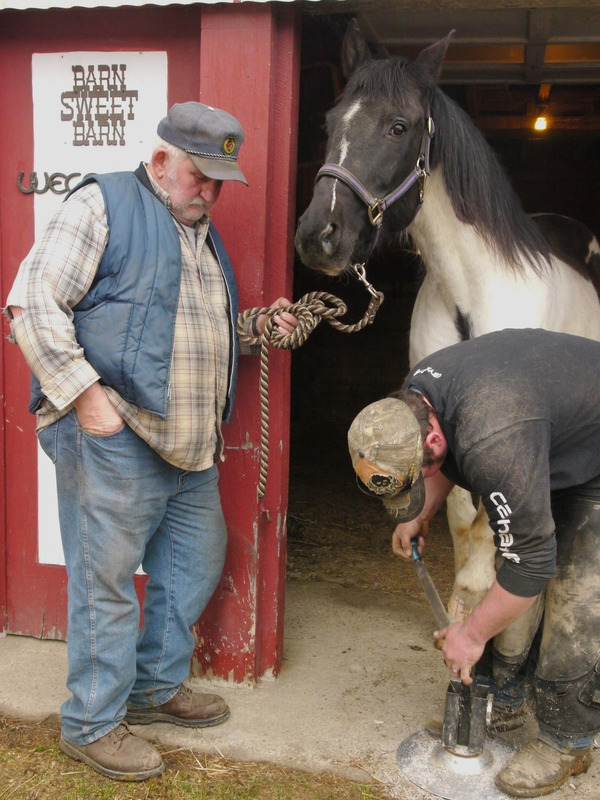 He picked up some useful pointers as he trimmed and shoed horses for the other farrier. “It’s good to be careful. A draft horse is like a mule. A riding horse usually won’t run you over, but they will. Mules and draft horses aren’t animals to mess with or take lightly,” replied Kenny. Kenny moved on to the riding horses, Jupiter, CJ and Pepper. Each horse in turn received a trim; no shoes today. Kenny lifted CJ’s hoof, did his job, everything went like clockwork. 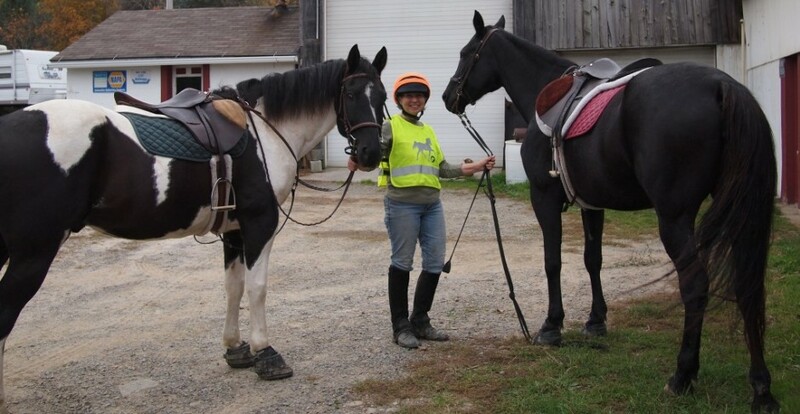 “I love what I do and I am lucky to be able to work with horses every day. It is hard to work for people who don’t understand horses. Some people buy a horse for their kid and know nothing about the horse. It’s easier to work for people who know their animals and work with them daily,” replied Kenny putting CJ’s hoof back on the ground. Before long the horses had all received their trims and waited to be returned to the pasture. I turned my car towards home as Kenny gathered his tools, climbed in his truck and headed for another job. This entry was posted in Uncategorized and tagged farrier Kenny Bellis, Oklahoma State Farrier School. Bookmark the permalink.